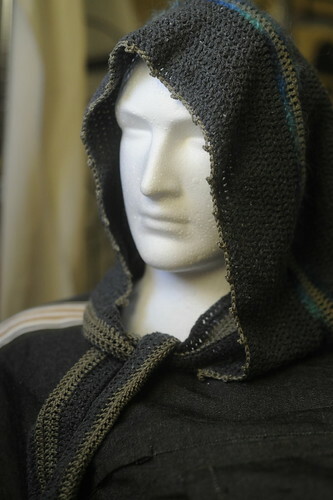 I loved this custom hood pattern by Sinduction. Although it's not so much a pattern as a general guide, whih can be a great thing when experimenting with crochet. 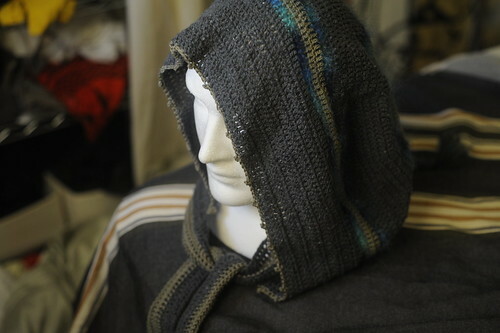 This was a mixture of 4ply cottons and some mohair for the blue stripes.